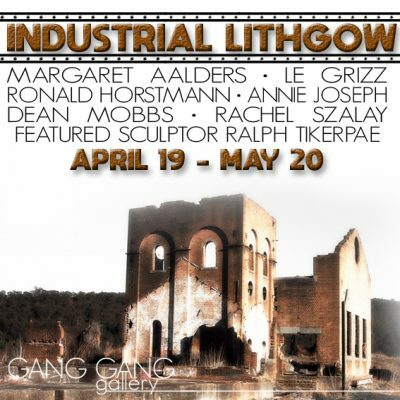 An exhibition in celebration of Lithgow’s industrial past. 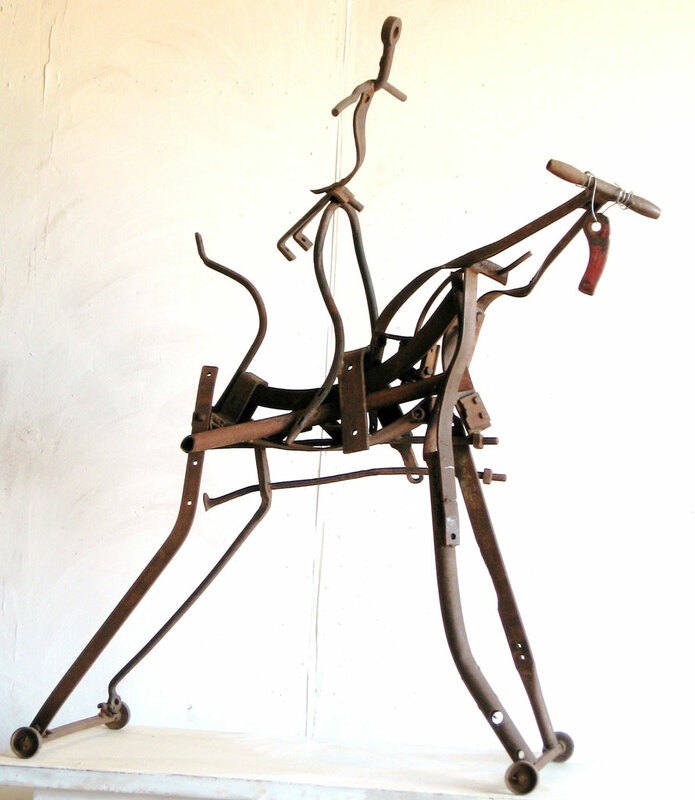 Seven outstanding artists; Margaret Aalders, Ronald Frederick Horstman, Annie Joseph, Dean Mobbs, Rachel Szalay, Gerard Brown, Ralph Tikerpae present their work in a story of strength, creativity and growth. 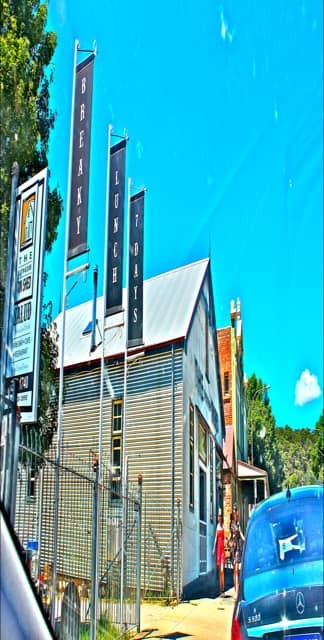 Lithgow’s Industrial past is well documented in historical documents and photographs. Although the earliest European settlement in the Valley was pastoral, for more than a hundred years, from the 1870s through to the latter part of the 20th Century, Lithgow was an industrial town. Coal mines, Smelters, Railways, Steelworks, Brickworks, Abattoirs, Brewery and industry-associated places such as the Trades Hall and the Lithgow Co-op, were the pulse of the valley. Most of the buildings, and the industries they housed are gone now, the last coal mine in the Lithgow Valley, The Hermitage, closed in 1986. Lithgow in 2019 is clean and green and interestingly, the old buildings that remain from our industrial past have taken on a patina, a beauty that is acquired with age. Some are in ruins while others have survived and flourished and been re-purposed. 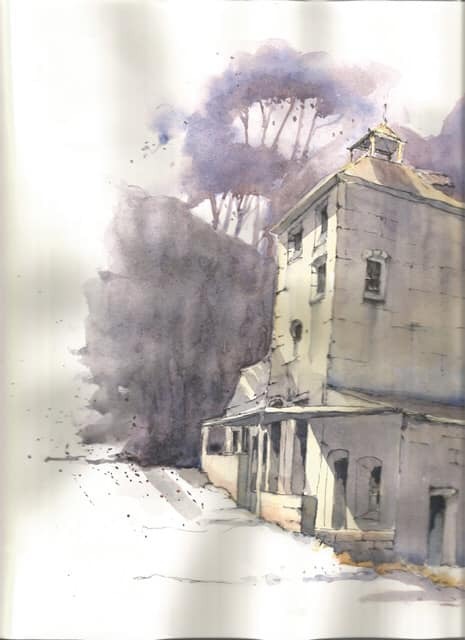 I have tried to capture some of that beauty in these pen and wash and watercolour drawings. 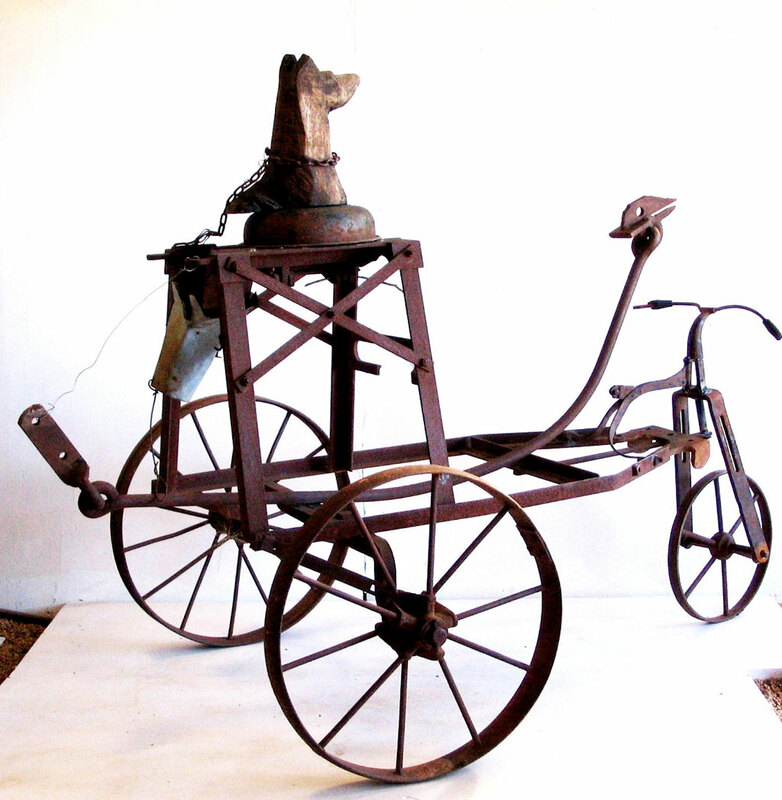 The industry of life is never perfect; and not all my works for this exhibition are, Industrial. But, when we place ourselves within the journey – which I did – I became the past, as industry. I felt the essence of the area through imagery and looked for the associated humanity. I looked for the lived elements of industry. 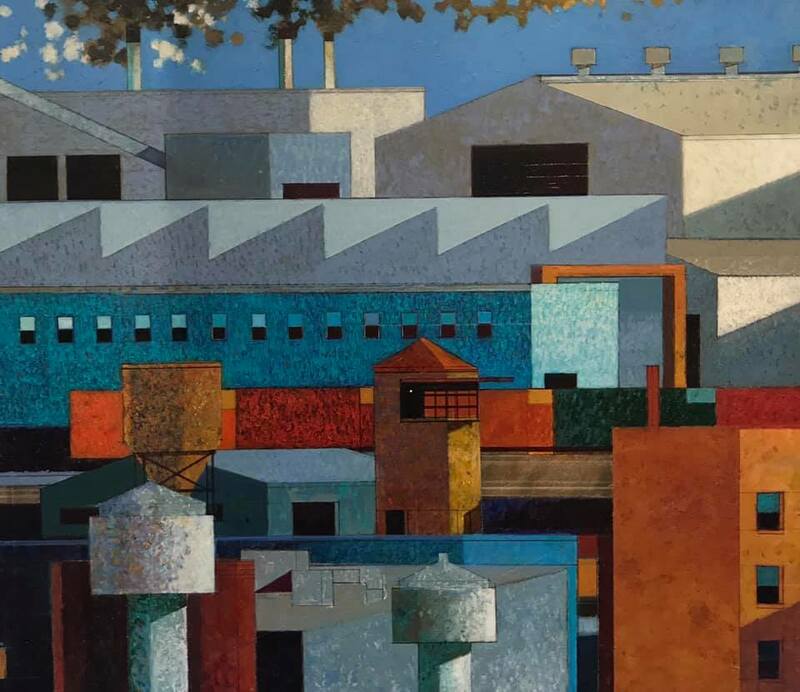 These works encompass for me as an artist – lived historical and industrial everydayness; of the township known as, Lithgow. During the creation of the works – I walked within the area and asked for inspiration. I placed my soul inside these buildings. I floated. I swam. I was inspired by – their history; and the internal industrial nature of these amazing facilities. This is your history – feel it. I have the luxury of working and living in a vast and well equipped studio in Wyalong NSW. This is a space entirely dedicated to the production of sculpture and painting. 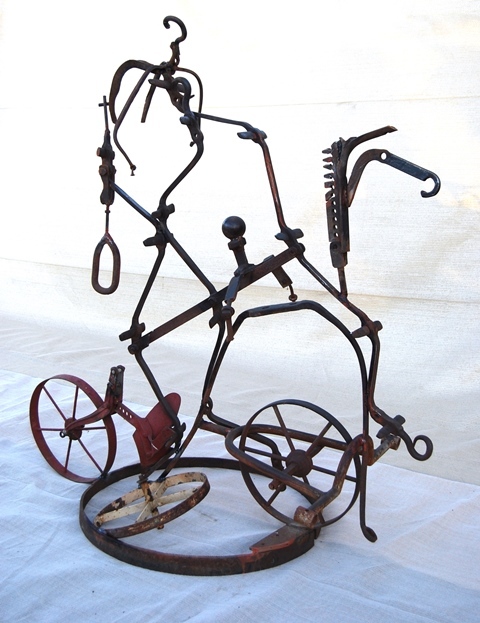 Here I sculpt in a variety of media but I particularly enjoy pre-loved metal and clay. I also paint in luxurious colours full of graphic mark making. It is an environment devoted to the worship of art. After studying art in Newcastle I work and teach in regional NSW. 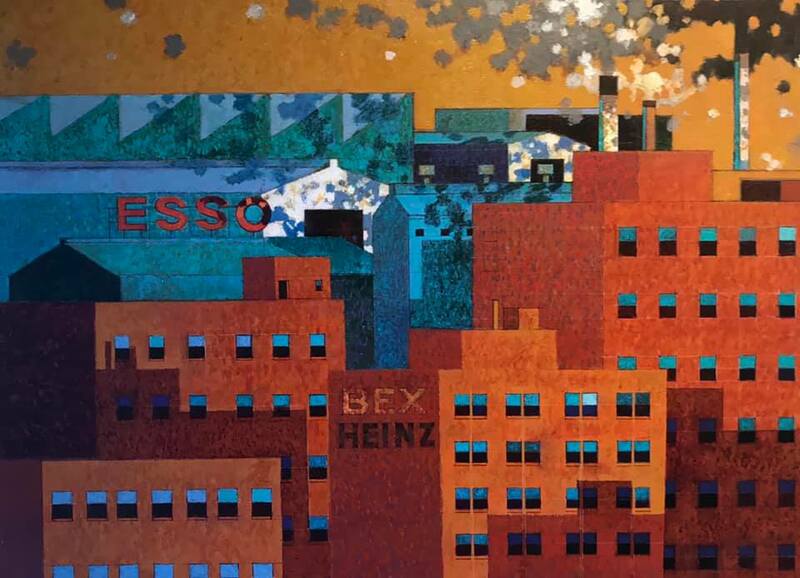 By removing my self from the city early in my career I have been able to develop my art away from the tyranny of other influences and the stresses of city life. I revel in the freedom that living on the edge of the Mallee country gives me with access to sculptural materials and the space to both sculpt and paint in my large studio spaces. 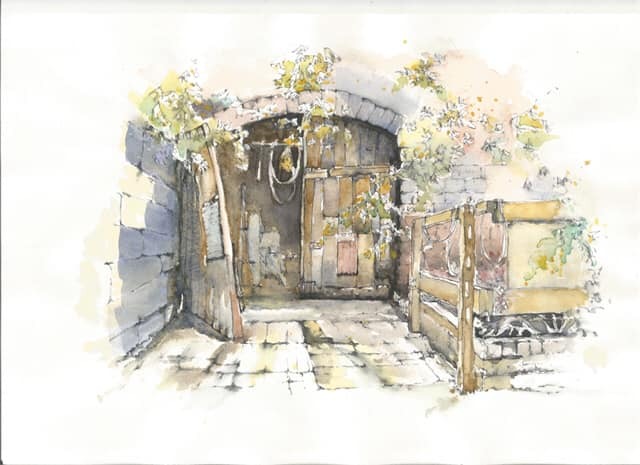 Margaret is a prize-winning water-colourist who also experiments in mixed medium especially inks. 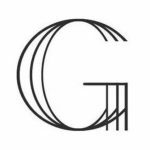 She started painting in England many years ago where she had commissions to paint farmhouses, cottages and elegant residences in rural Berkshire and Oxfordshire. 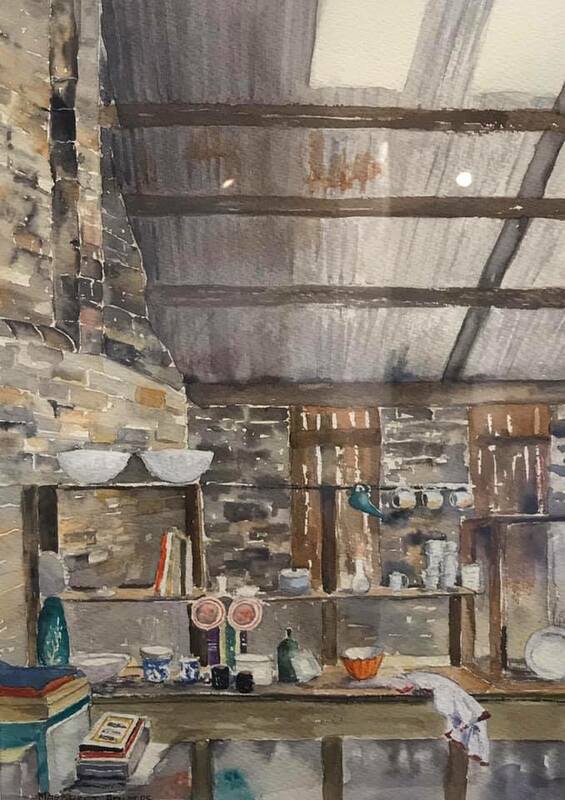 While living in the UK she work-shopped with the renowned British artist John Bockley and at home with Alvaro Castagnet, Herman Peckel and other well-known artists at the Charles Sturt University Summer School for the Arts. 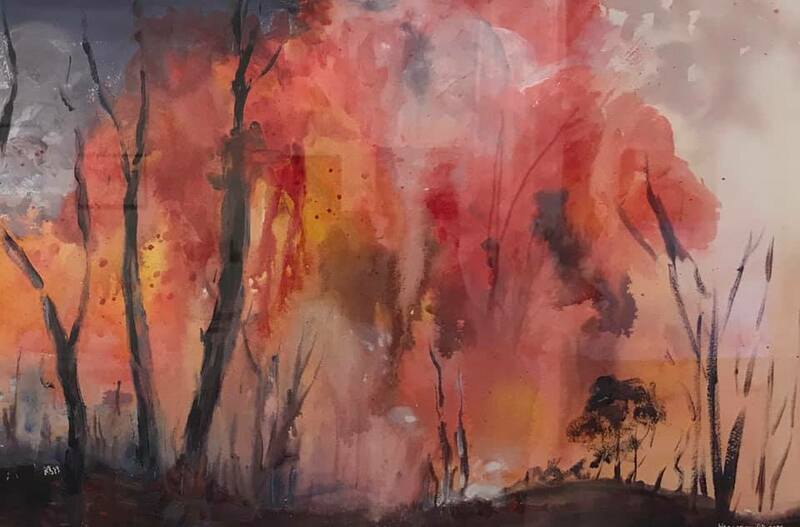 Each year she travels to Northern Territory to paint the challenging variety posed by the rugged terrain and this was demonstrated by her very successful exhibition ‘Kanimbla to The Cape’. At home Margaret finds great inspiration in her love of the trees, mountains and vast skies of the Kanimbla Valley, part of the Blue Mountains where she lives. 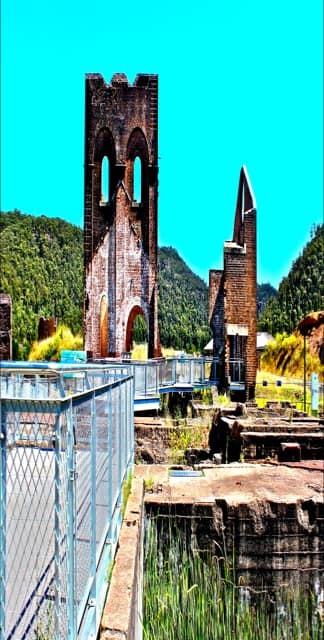 In her latest works she is experimenting with the challenge of capturing Lithgow’s Industrial Heritage. Margaret is an active member of the Blackheath Art Society, Society of Mountain Artists and a founding member of the Gallery Blackheath. 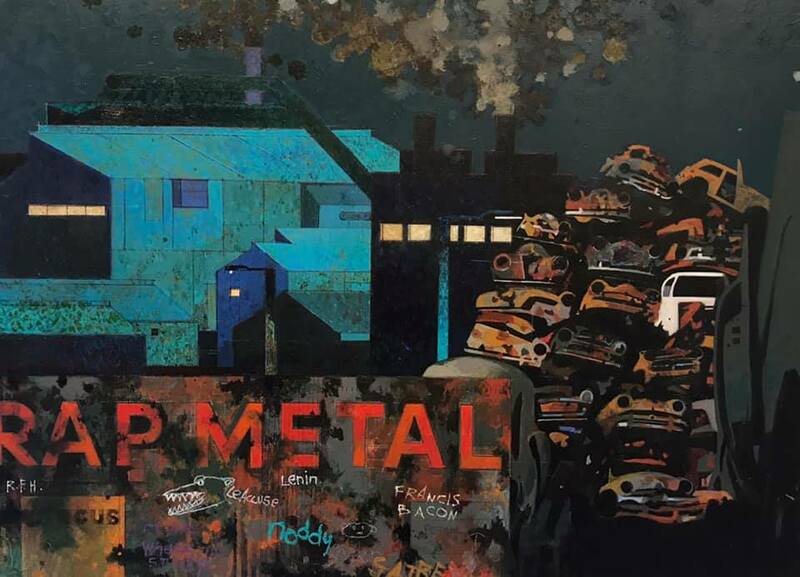 Known for his psychedelic and pop styled artworks, the pieces in this show are inspired by the industrial, Flora and Fauna of Lithgow and surrounding regions in which he now lives and breaths. “Torn between two climates, the cities in which I spend half of my time painting commercially and privately, to breathing in the fresh air of these mineral rich mountains when I return home, allowing my subconscious to be released into fluidity of creating once again, breathing into the moment. Lithgow has a special meaning to me. My Hungarian father came to Australia after World War II having been a prisoner of war in Germany, seeking a new life in an unknown world. He was interned in an American prisoner of war camp in Germany and learnt English from a dictionary and American comic books. A toss of a coin to determine his destination at the end of the war between America and Australia, landed on Australia. His poignant first impression of this country was sailing in through the heads at Sydney Harbour early in the morning. Once ashore, he was whisked to the migrant camps at Bathurst jostling for position amongst the fluent in English and those that knew none. Seeking employment, he worked on the coal trains at Lithgow and also cleaned the Small Arms Factory windows. It was at Lithgow Littleton Hostel that my father met my mother. She came from Coonabarabran seeking employment as a teacher and fondly remembers the ardour of wearing a white blouse to work. In the morning it was clean, by evening, the coal dust had settled around the inside rim of the neck. From this first meeting, their love and journey grew. On a snowy day they married in Mt Victoria in a little church that still stands today with the reception at the Imperial Hotel. 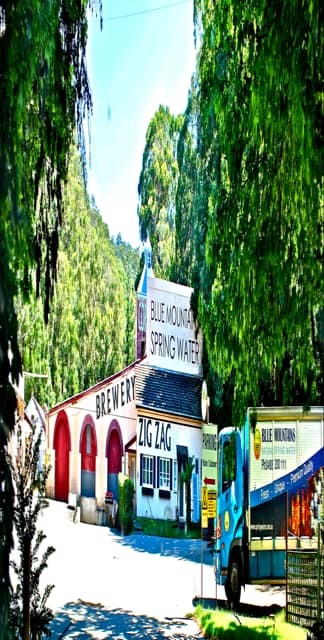 They finally settled in Glenbrook at the foot of the Blue Mountains and three children completed the family. Two sons and a daughter, me. It was the welcoming arms of this country and the industrial genesis of Lithgow that allowed my father to get a foothold on his future and indeed the future of growth in this country after a devastating world war. I have chosen the Asian scroll painting style to show the panoramic beauty of Lithgow’s history. Before the built world, the ubiquitous landscape enveloped all of humanity. Even well developed human groups, would have known for the whole of their existence, that their presence and immersion into “their” existence, that their presence and immersion into “there” may in fact signify a “somewhere else”…….. Because, we are drawn to the machines fatefulness to our own “naming” of it, and its reciprocity, and its fierce energetic commitment to our own ideological technical project.